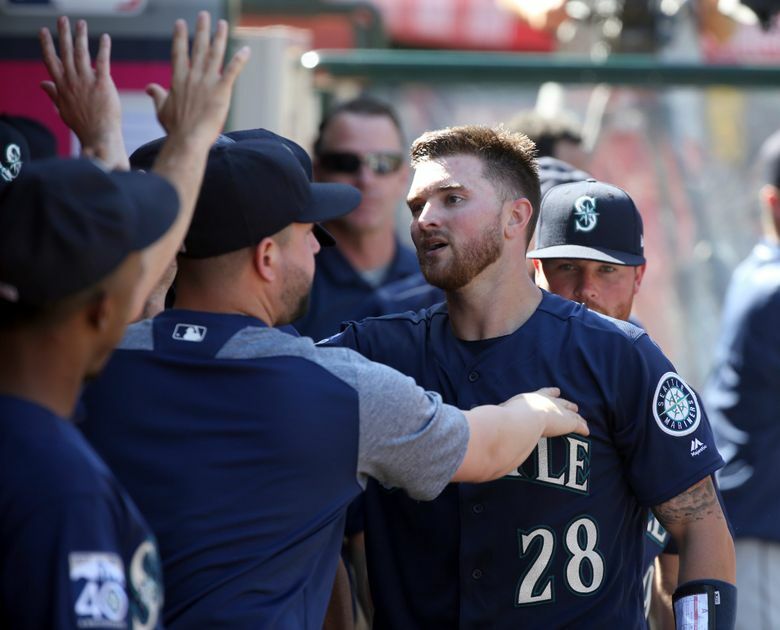 Paxton threw six shutout innings, giving up three hits and striking out nine, but the Mariners’ offense didn’t do enough to help him out in a 6-2 loss. 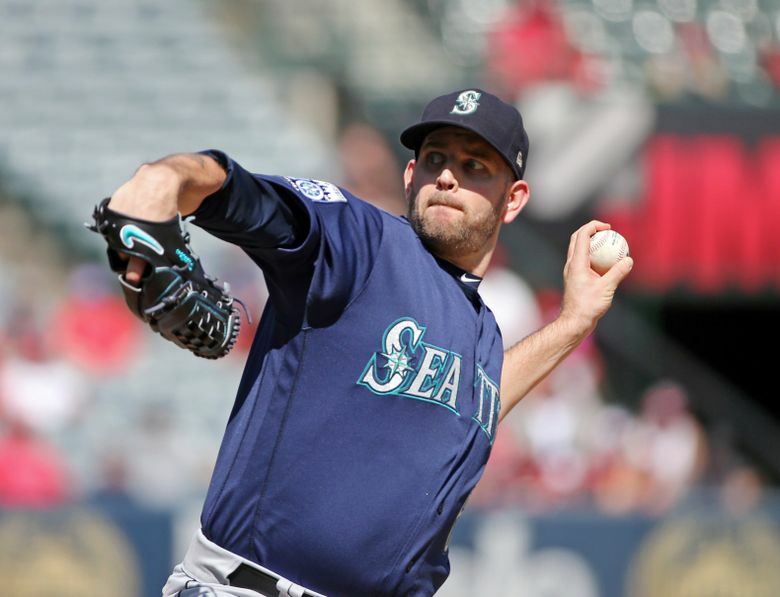 ANAHEIM, Calif. — The circumstances were supposed to be different for James Paxton for the final start of the 2017 season. 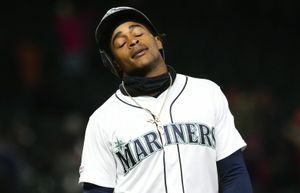 When it was lined up three weeks ago, the thinking was that if the Mariners needed to win on the final day of the season to get into the American League wild card game, or force a play-in game to get into the wild card, they wanted their best pitcher on the mound. Instead, the big lefty took the mound on Sunday at Angels Stadium in a season finale that would ultimately be a meaningless 6-2 loss. The Mariners finished with a 78-84 record — 22 games behind the Astros, who won the AL West, and six games back of the second wild card. It was their 10th losing season since 2001. Since last making the postseason in 2001, the anti-climactic end to every season on Game No. 162 has been the same. The one exception was in 2014 when the Mariners went into the final game with a chance only to have the A’s eliminate Seattle from the postseason. 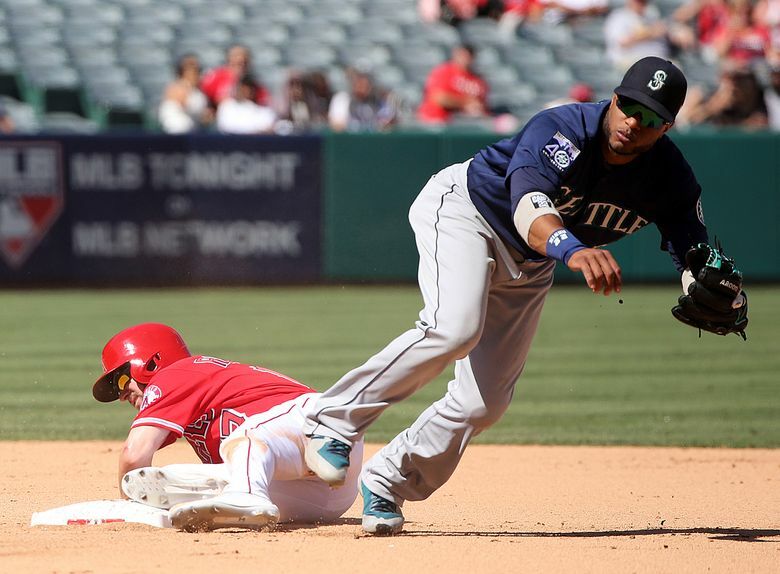 There was no such drama going into this finale with the Mariners having been eliminated from the postseason last week, extinguishing their oft-discussed goal going into the season. Paxton took the mound at his own request with nothing more at stake than personal pride. 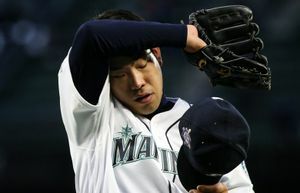 He wanted a strong outing to close out a solid, but injury interrupted, season. On a limited pitch count, Paxton pitched six strong shutout innings, allowing just three hits with nine strikeouts. Indeed, Paxton lobbied to make the start, wanting to go into his offseason on a positive outing and also feeling like he ended the season feeling healthy and in-tune with his mechanics after two separate disabled list stints. He ended the season with a 12-5 record and 2.98 ERA in 24 starts. If he can do that, he will be an upper-echelon pitcher in Major League Baseball. The talent is apparent. 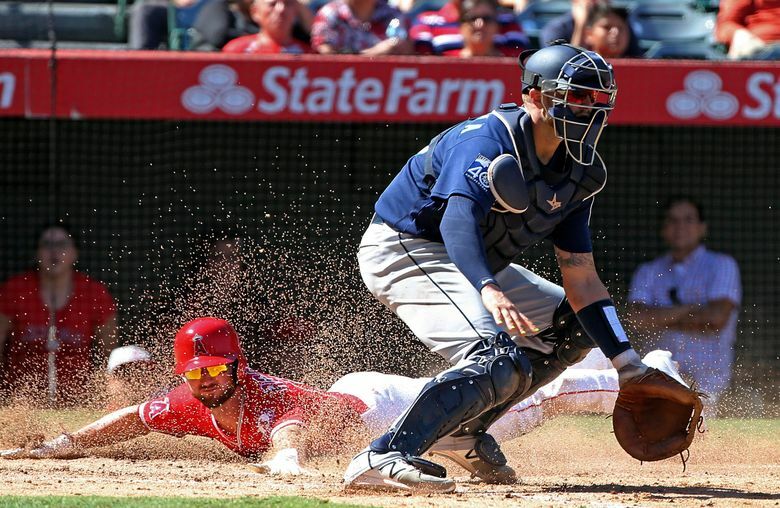 Paxton didn’t factor into the decision because his teammates did little against Angels starter Parker Bridwell, mustering just three hits against him over his seven shutout innings. 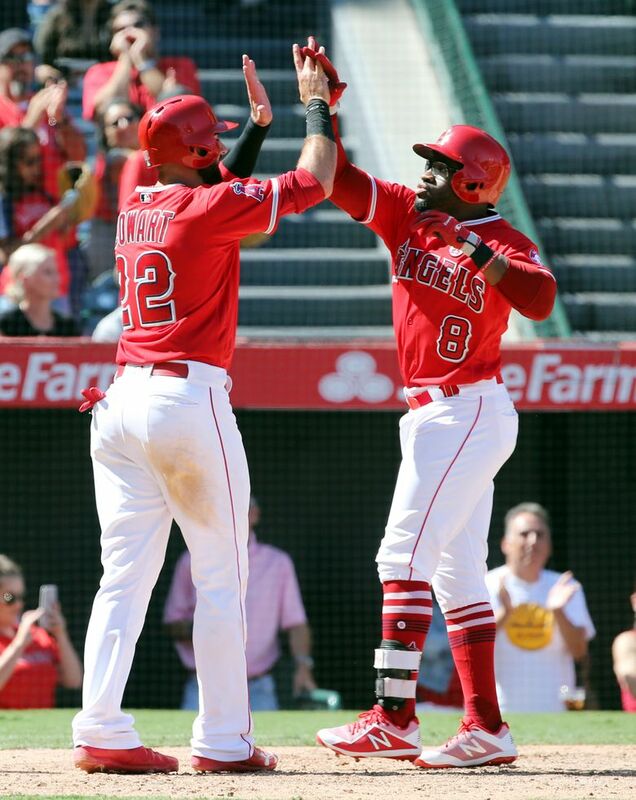 The Angels took the lead immediately after Paxton came out of the game, loading the bases against Shae Simmons with no outs in the seventh and getting a sacrifice fly to left from Cliff Pennington and another sac fly from Juan Graterol to make it 2-0. The game was decided shortly thereafter. James Pazos entered the game and promptly gave up an RBI single to Ben Revere and then served up a three-run homer to Eric Young Jr. to make it 6-0. In all, eleven hitters came to the plate in the six-run inning. Right-hander Ryan Garton, the third pitcher used, finally got the third out on a fly ball to right. Simmons was charged with four runs while Pazos charged with the rest. Seattle didn’t get shut out. 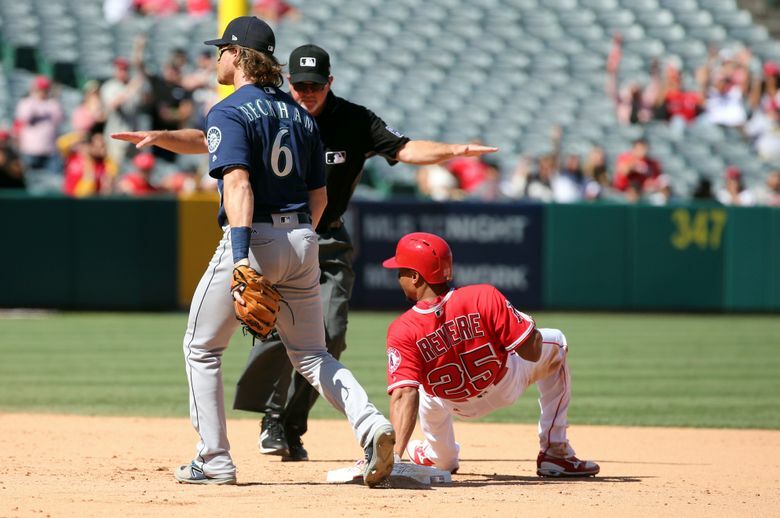 For the second straight game, the Mariners had a rookie hit his first big-league homer. Facing lefty Jose Alvarez in the top of the eight, catcher Michael Marjama, who was starting just his second game since being called up in September, blasted a first-pitch fastball into the stands in center field for his home run. Daniel Vogelbach, who had two hits, plated the Mariners’ other run with an RBI double to center in the ninth.